Hey everybody, welcome back to my computer blog where I love to talk about Steam games. I recently got my computer back to me after having it across the world for over a year and it feels great. I have been playing so many games that I bought years ago that are updated with tons of new gameplay mechanics and items. I have even bought a couple keys online, I used http://www.canada.for-sale.com to find tons of used steam games for cheap. I even got a couple keys for Greenlight games, which I love. For those of you who don't know, Greenlight is a feature Steam has to let game developers earn some money for their games while still developing them, and to allow the public access to games as they mature to their completed form. I think this is a really cool concept and it has yielded some great results, some of which I have put many many hours into. Some games have been kept in their Greenlight phase for years, which in my opinion is amazing. This allows the developers to continue to add updates to the game easier than a normal update, and at no cost to the player. 'The Forest' is one of my favourite Greenlight games and I have been playing it since its launch about 3/4 years ago. Since then, the developers have added texture patches, numerous new items and locations, new personal stats and abilities and even 4 person multiplayer all for free. Since getting my computer back last month, I have logged over 20 hours of game play in 'The Forest' and I am not stopping. I will reach a point soon where there isn't much left to do but another update should be out before then with an expansion on the storyline. I know of countless games from the past 15 years that have been cancelled or delayed because the developers have went broke, especially from smaller studios. That's another amazing thing with Greenlight is that with the ability to charge players now for the chance to play an alpha of the game as well as receiving the final polished version allows developers to continue making their games and not rely on savings and other jobs that can sometimes halt production. It also works well for the player as they get a game that they want for a lower price than most games and they get to have the game when it is released for now extra charge. I would have paid $10-$20 for the chance to play a couple cancelled games during development, especially if it meant that the studio didn't collapse and I can play the final version. Another aspect of Greenlight is that developers have more freedom to try new things, or old things for that matter. You guys know how nostalgic I can get about games, so when I can try new games done in the style of something I grew up with I am all over it. With developers being able to focus efforts on smaller games with smaller budgets and have those games be bought and tested they can try unique ideas, like all the games coming out with 8 or 16 bit graphics or the sudden influx of text based games. 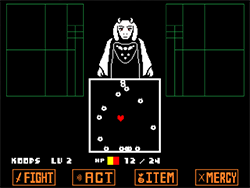 I'm not much of a fan of text based games, but the recent hit 'UnderTale' has gotten me to at least try it again and that's all thanks to Greenlight. The difference between Greenlight games and early access games is pretty well summed up in one thing: Greenlight games have to be decided on by the community. Community member can rate the games they have played as to whether or not they should be released, giving the developers an extra push if needed and the community an important role in the release of games they have invested money and time into. When games finally come out of Greenlight, it can be a big deal to a lot of people. The price usually shoots up and hopefully game play has been stabilized. Players who purchased the game on Greenlight can enjoy the full game at no additional cost and all updates from then on. Some developers are really nice and even throw in all the DLC for free, although it isn't that common for these games to get much DLC that isn't in the form of an update. Bug reporting will still be available, but developers who move their games to full release are usually looking forwards on the horizon and want to do something new which is understandable. It's important to always be striving to improve what you do, be that in developing Steam games or in writing blogs.